Come salmon fishing with me on my local river! 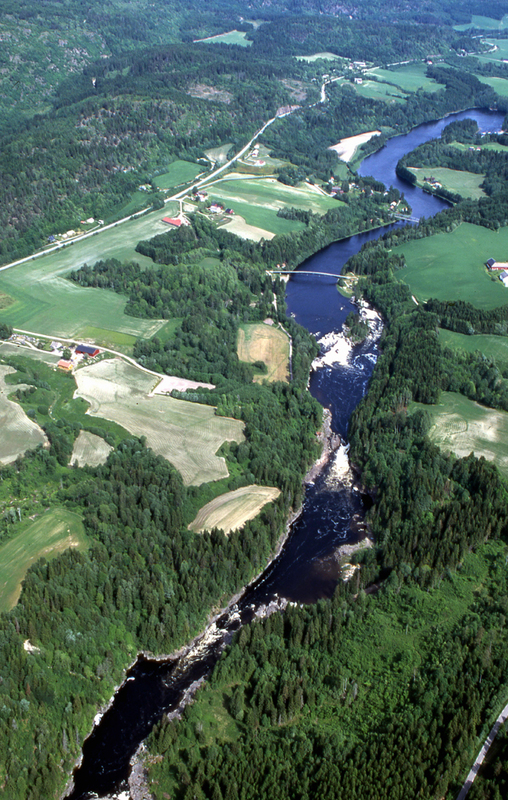 Numedalslågen, often referred to as Lågen, is among Norway’s longest rivers. From its sources on the mountain plateau of Hardangervidda, the Lågen runs more than 350 kilometers in a Southern/Southeastern direction, until the river ends its journey in the Larvik Fjord. Salmon, however, only run approximately 70 kilometers, from the mouth of the river to the village of Hvittingfoss where they are stopped by a massive waterfall and a hydro power plant. What I can offer, is a either organizing a trip based on your specificaions or a guiding service when you have arrived. Local knowledge always increases your chances of catching a fish, and I will be happy to assist for whatever period of time you may require. For more details, please have a look at my guiding service page.